Wide Across The Top: 10mm (followed by the length). 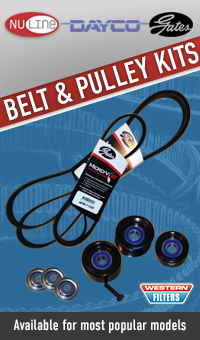 A bandless laminated belt, featuring fully oil and heat resistant materials, and is built for long life on tough automobile rides. Rubber impregnated fabric resists oil and heat. Specially treated, high strength synthetic tensile cord minimizes stretch, and stands up to repeated shock loads. Durable fiber reinforced rubber supports the tensile cord for extra stability. 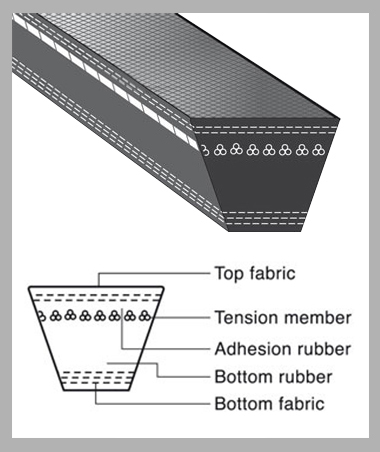 Laminated rubber impregnated fabric resists wear and cracking. Bando is a global leader in manufacturing world class power transmission belts to both industrial and automotive OEMs as well as an international network of industrial and automotive aftermarket distributors. 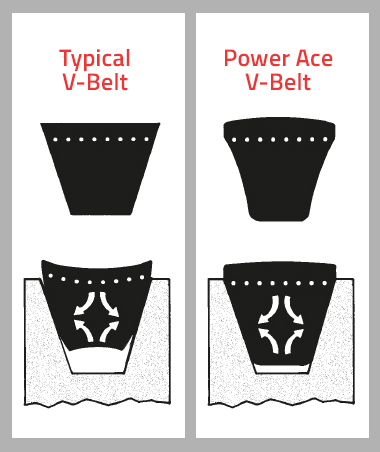 Bando also has a variety of other V belts including Classic, Rib Ace V-Ribbed (PK ribbed), OHC Synchronous Belts (ZA, ZB, ZBS, S8M, YH, ZH, B-YU, B-RU), Raw Edge Auto-Flex (SP RAF laminated), PowerAce, Raw Edge Cogged V-Belt RPF (cogged), Raw Edge Power-Flex (RPF, TDPF, DDPF), Narrow, Multiple and others. Western Filters keep a huge range of Bando belts at very competitive prices.